CURRENT STUDENTS PLEASE USE THE PORTAL! 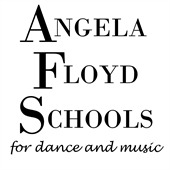 The Angela Floyd Schools reserves the right to dismiss and/or terminate any student and/or parent who displays disrespectful or inappropriate language or behavior within the school or while representing Angela Floyd Schools in off-site events. There are no refunds on tuition for any reason. Please do not regiter unless you plan to attend class regularly. Tuition is due the first of each month and will be paid via Auto Debit from a Visa, MasterCard, Discover or checking account. A $30 fee will be charged for insufficient checking accounts or for declined or invalid credit cards. If any account is declined for 3 consecutive months, the student will automatically be withdrawn from the school. If any account has an outstanding balance after 60 days, the student will automatically be withdrawn from the school. Tuition may be paid in full for the entire dance season (August-May) if one wishes not to pay via Auto Debit. Tuition is calculated on the entire dance year and is the same each month, including those shortened by vacations such as Christmas Break or Spring Break. If any account has an account balance after 60 days from the date tuition is due, in addition to the outstanding balance, the student and/or parent(s) shall also be responsible for paying pre-judgment and post-judgment interest at the rate of 10% per annum, and any and all costs of collection, including, but not limited to, reasonable attorneys' fees. If the Knox County Schools are closed due to snow, there will be no morning classes. If the roads are clear by 2:00 PM, please check the website or call the studio to verify classes will go on as scheduled. We will try to notify everyone of weather related closings by e-mail, website, and/or voice broadcast. If you are unsure, again please check the website or call before coming to the studio. We cannot call every student about weather related closings. If the school must cancel class due to extreme weather or events beyond our control, the missed class may be made up. It is our belief that students are more productive when not being observed. Teachers need the student's full attention without interruption or distraction to teach effectively. For this reason, parents, friends, and family members are asked to observe classes on the designated "Parents Week". Parents may also watch class on the monitor located in the lobby. Teacher and staff are carefully screened and monitored by management. Angela Floyd Schools is not responsible for providing before or after class care for students. Students are not to be left at the school for excessive time before or after lessons. Angela Floyd Schools or it representatives cannot transport or assume primary care responsibilities for a student at any time. Student and Parent agrees that the Angela Floyd Schools may take photographs and may make videos and audio material of student, classes and school events, and that these materials may be used for display, promotions and/or advertising. The Student and Parent hereby waive any compensation to which Student may otherwise be entitled for appearing in such matrials.